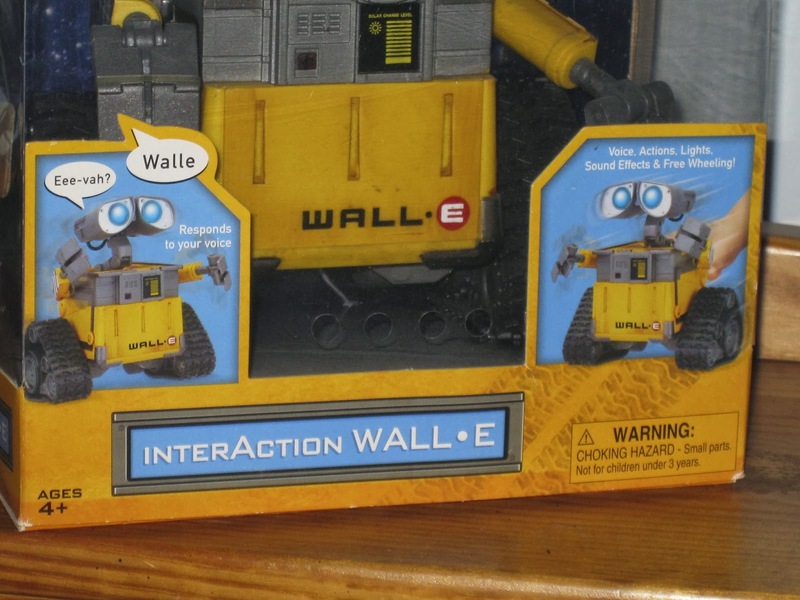 How did I not get this "InterAction" (Interactive) Wall-E when it was first released in 2008? I thought I would be right on that...I mean having my own working mini Wall-E robot? Come on, that's too cool. So now, I'm finally lucky enough to have it thanks to my parents. This was such an awesome Christmas surprise! 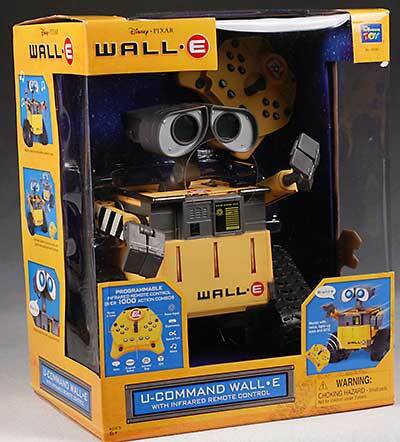 This Wall-E is made by Pixar's classic "go to" toy company, Thinkway Toys. Anyway, moving on...I thought that was kind of an interesting side story (at least for me). This Wall-E is just awesome. He's not remote controlled so he doesn't tread around on his own (you'd need the "U-Command Wall-E" for that) but he talks, lights up, moves his arms/head and responds to your voice. 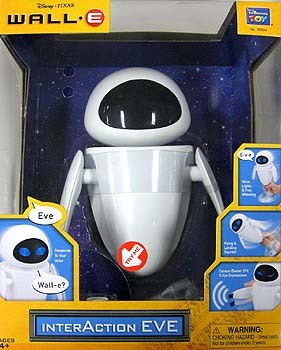 He also responds to the "InterAction Eve" toy (seen HERE). 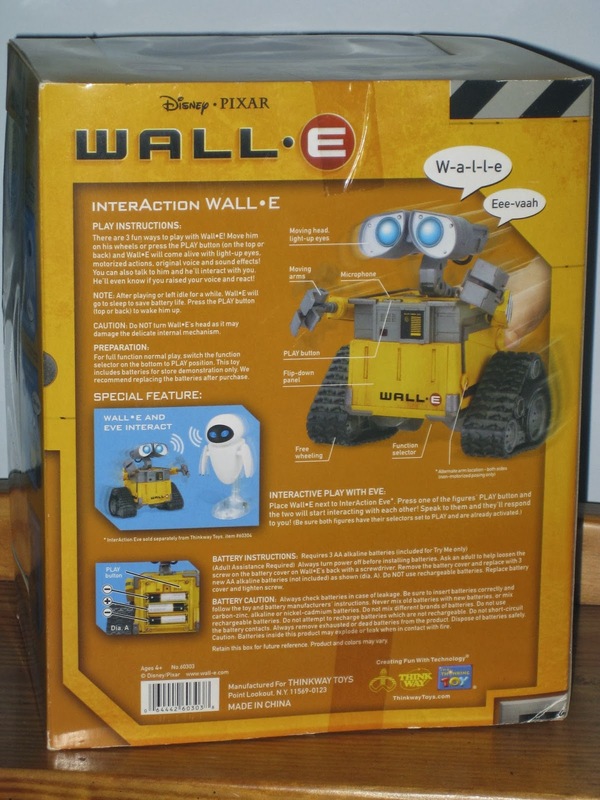 Below on the back of the package is where you can read more about this Wall-E's features. Of course, Wall-E's voice and sound effects are as movie accurate as you can get! Thinkway Toys had a pretty extensive collection of Wall-E toys back when the film came out and for whatever reason, I didn't jump on really any of them then. 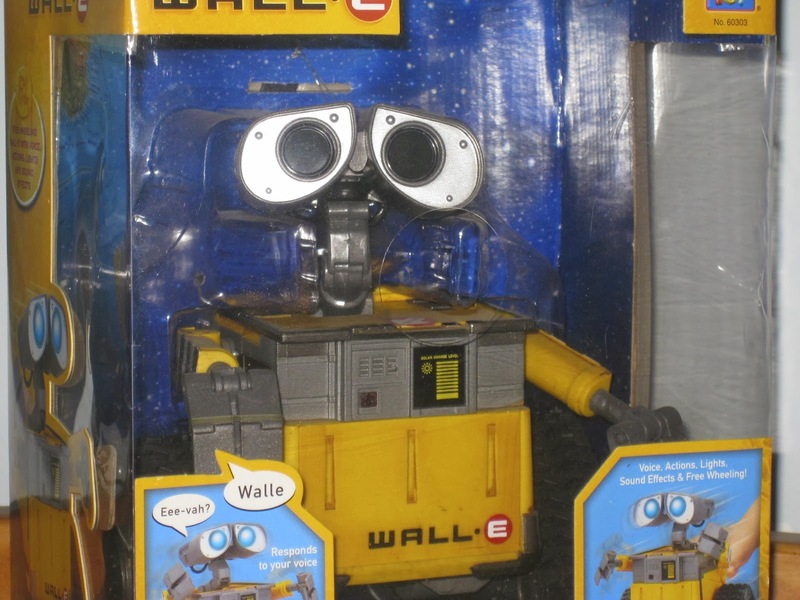 Check out Thinkway's official Wall-E page to see a pretty definitive list of all the toys that were originally released in their line! Many the products can still be found pretty easily on eBay, so check it out to see if you're interested in any of them. Again, thank you for visiting Dan the Pixar Fan and please let me know if you have any questions or comments. Be sure to come back daily to see even more from my Pixar collection or even explore past posts you may have missed (using either the labels or archives to the right of this page). What's really sad is that my nephew got this as well and I thought, "Wow, that's really cool"...but for some reason I didn't get it either! I think it's essential now!! Congrats on getting this great toy! Do you prefer this one or the "UCommand" one? I'm kind of torn between the versions - I like the simplicity of this one, but the UCommand one is cool because of the extra things he can do. Still can't decide which one I might go after. 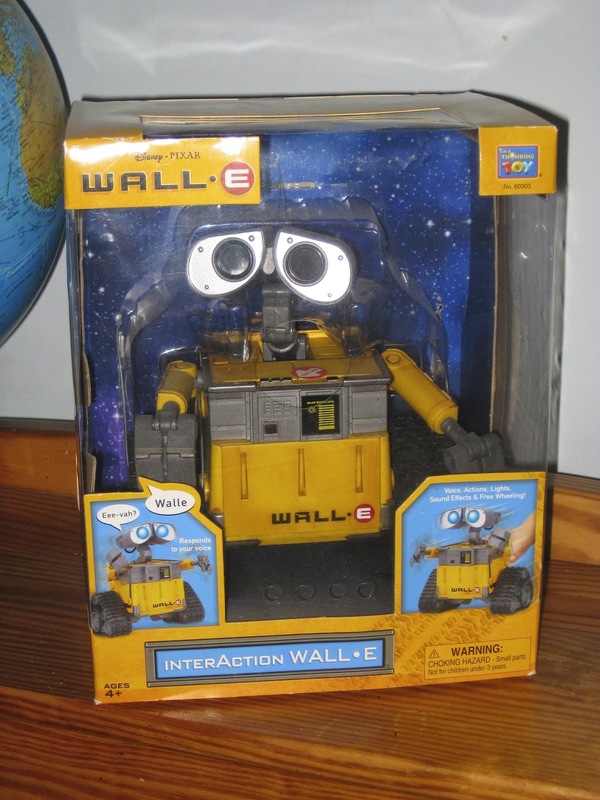 Hey any idea how much wall-e could be worth? New still in box :) i heard hes really rare. Hey there! 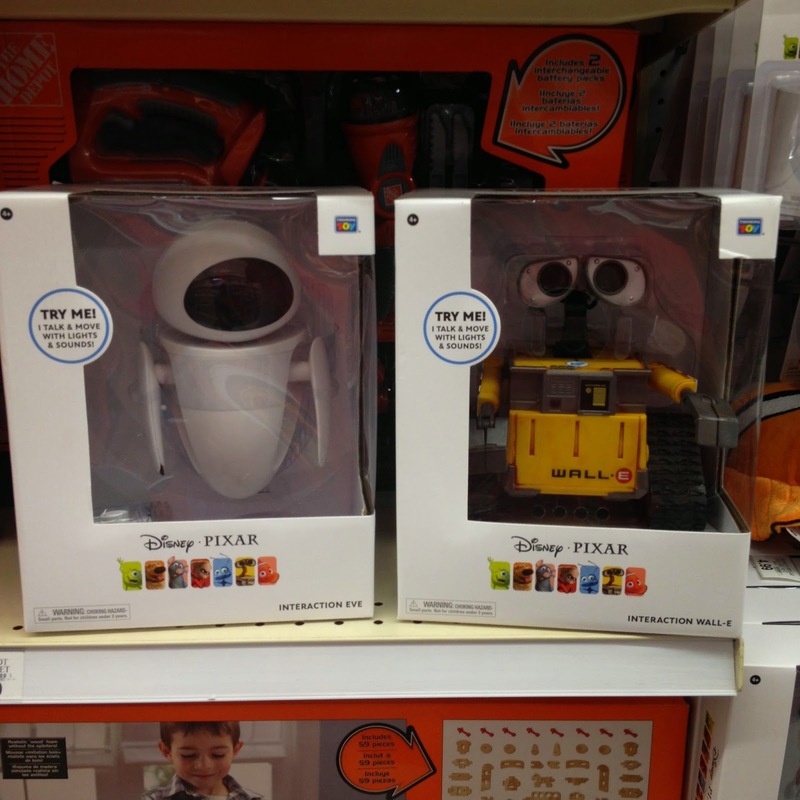 I'm seeing this wall-e being sold in the package from anywhere around $150-$250 :) hope that helps!